SYSPRO e.net Solutions provides a simplified environment your IT developers can use to integrate your ERP system with third-party solutions. This enables your business to extend beyond your enterprise and drive efficiencies. With security standards, SYSPRO e.net uses XML communication standards and the Microsoft .NET framework. 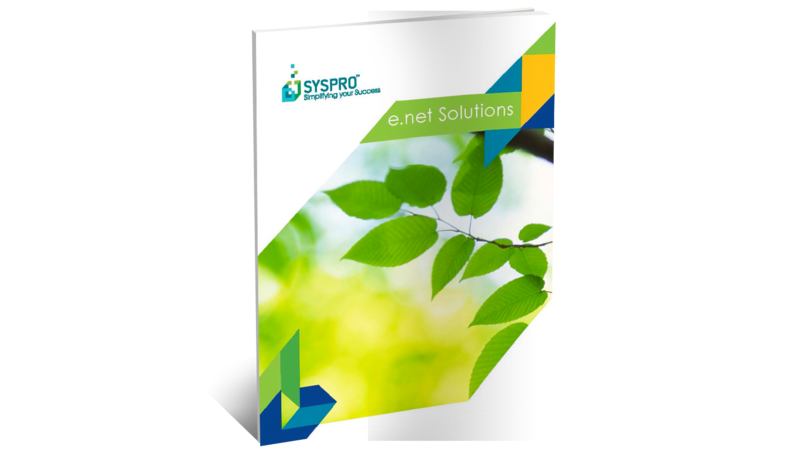 Download our SYSPRO e.net Solutions Brochure to learn more.